The Ministry of Economic Development and Trade of Ukraine has presented, with support from the European Bank for Reconstruction and Development, Ukraine’s first export brand which will help market Ukrainian products worldwide. “Export brands strongly influence the country’s positive image. In other words, the stronger the brand of Ukraine is, the more successful Ukrainian export will be. It is a credit of trust in a commodity. At the same time, we are speaking of Ukraine as a reliable partner of other countries. The mission of an export brand is to project a strong image of Ukraine as a reliable partner in the world. It is a platform for building and strengthening the positions of Ukrainian exporters on the global market,” Stepan Kubiv, First Vice-Prime Minister and Minister for Economic Development and Trade of Ukraine, said. 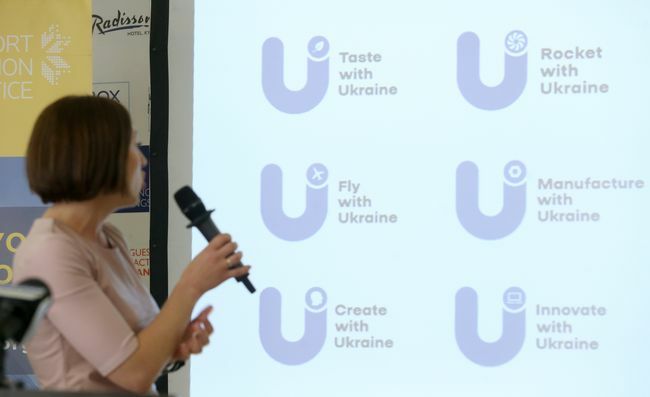 Project initiators promise that from now on every Ukrainian exporter can use the reputation of all the other Ukrainian exporters irrespective of the economic sector. In Kubiv’s words, the export brand of Ukraine will establish a stable visual link between various segments of the economy by applying the same style to the goods and services of different ranges and types. “For example, the success of Ukrainian IT will help other Ukrainian exporters, export commodities and services enter international markets and form class, quality, and innovativeness,” he pointed out. Kubiv also said the export brand would be first presented at the national stand of Ukraine at a large-scale China International Import Expo in Shanghai on November 5-10. According to Stefan Schleuning, Team Leader on Financial Cooperation, Support Group for Ukraine at the European Commission, the total cost of financing the brand was about 50,000 euros. “The European Union allocated this money as part of the EU4Business initiative,” he said.